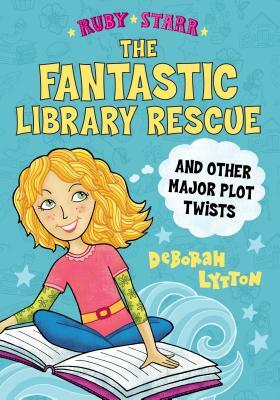 The second book in this fun series that's perfect for younger fans of the Dork Diaries and Story Thieves series. Ruby Starr is an older Junie B. Jones with a big imagination and a love of reading. But disaster strikes when Ruby learns that her most favorite place in the world, the school library, is in trouble. Ruby knows she and the Unicorns have to do something to help. But when Ruby's plans end up hurting a friend, she's not sure her story will have a happy ending after all.